By choosing one of our Reseller Hosting accounts below you will also be able to take part in our affiliate program, If you are interested in promoting GVO products and services for incredible residual commissions please choose your Reseller Hosting account below. If you are interested in learning more about our affiliate program and our commission payouts please Click Here to view. Choose Your GVO Reseller Hosting Plan Now! Marketing Tool Quantities that are all included with our Reseller Hosting accounts. FACT: Over 100,000 people a day are being introduced to the internet. It's showing no signs of slowing down anytime soon. The .com gold rush is back on for the select few people who know how the internet works. How to promote online and how the infrastructure works. Here is another FACT: 99.999% of home based business people have NO CLUE on how the technical side of the internet works so people just come to the conclusion that building an online business is impossible for them. Sound familiar? And a final fact for you: The biggest online opportunity is web hosting. Why? Without web hosting, the internet would cease to exist. It means that over 75,000 new web sites a day are going LIVE online. Shouldn't you be the one offering these people web hosting? 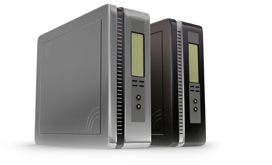 The ins on how reseller hosting works? Once you have signed up for a Titanium web hosting account with GVO (Global Virtual Opportunities) you will be given access to your web hosting member’s area. In your hosting member’s area you will find your WHM (Web Host Manager). Web Host Manager will allow you to manage and provide your customers with their own CPanel (control panel). This will enable them to create and modify their own web sites. Once your customer is logged into CPanel they are able to control sub domains, email addresses, passwords and much more without requiring any assistance! In the event that you encounter any problems, we're available 24/7/365 to help. Create your own hosting packages and charge what you like, keeping 100% of the profits! If you want a website on the internet you require some form of hosting, and unquestionably the best option is a paid package. As businesses in the "real" world are finally realizing the importance of having an online presence, the field is wide open for savvy entrepreneurs, especially as over half of small businesses still do not have a website. Since each website requires hosting, anyone able to provide it is in a very enviable and potentially profitable position. Actually setting up a web hosting company is an expensive and complex operation, but becoming a reseller for hosting requires little more than signing up for a reseller hosting account. Such a simple move allows a person to host multiple domains on a single server, and they don't have the headache of having to maintain it while they are able to reap the benefits of a cash cow business.